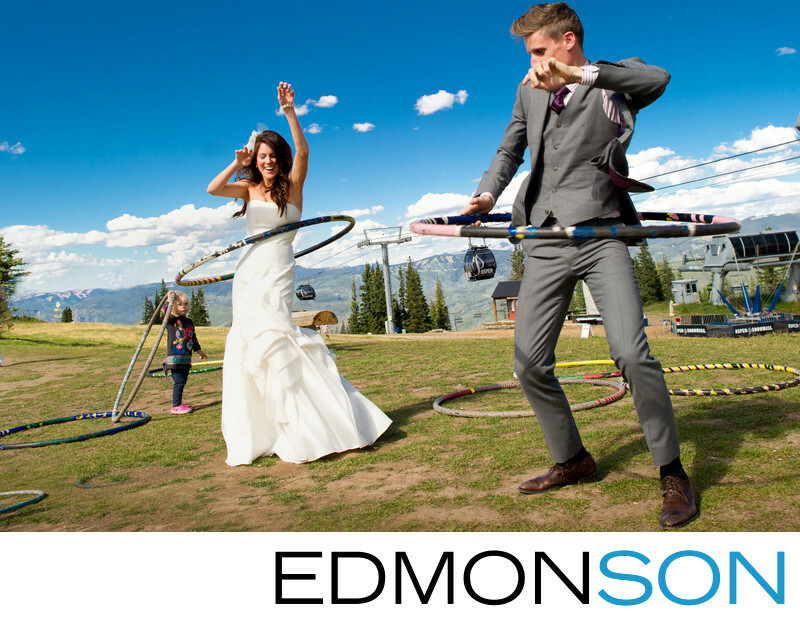 Fun moment when Bride & Groom Hula hoop after mountaintop ceremony at the Little Nell in Aspen, CO. Wedding coordination by GRO Floral & Event Design. 1/1250; f/5.0; ISO 200; 24.0 mm.